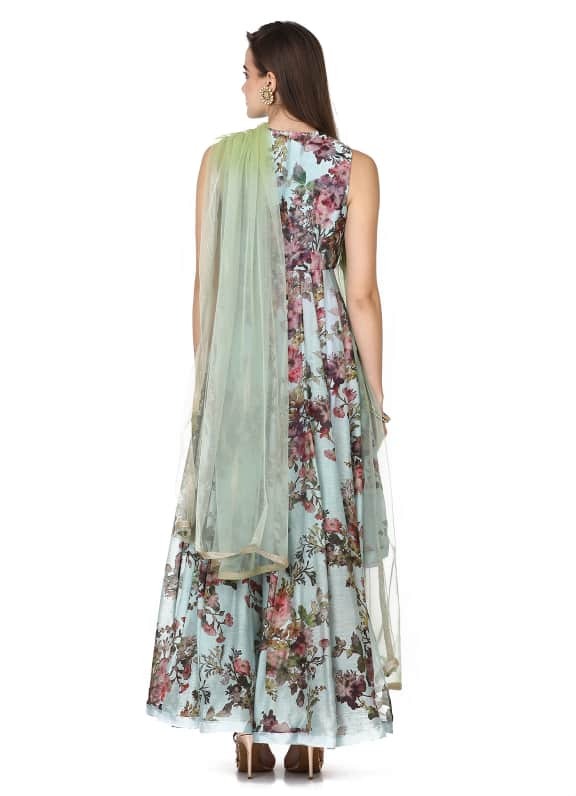 This set features a blue floral printed high low kurta in cotton base. 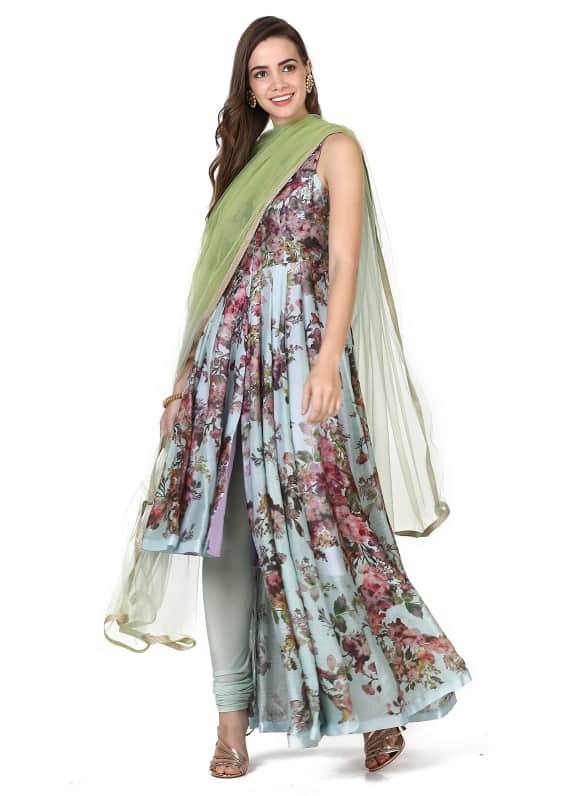 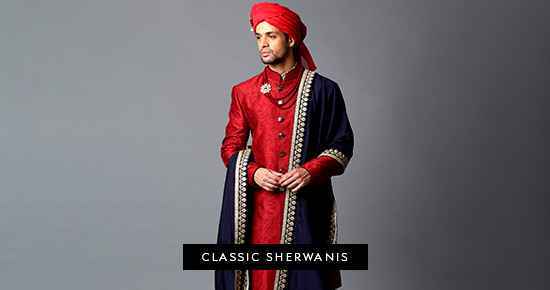 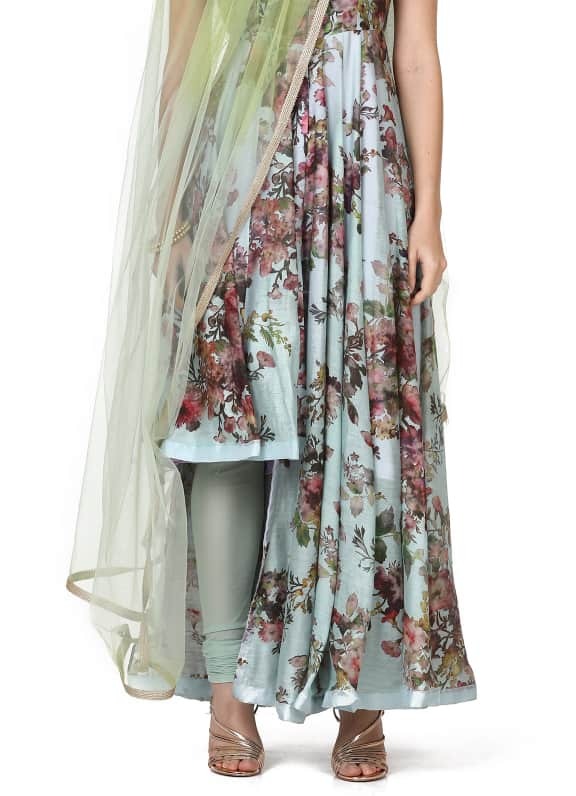 It is paired with matching mint churidar in lycra net and an ombre net dupatta. 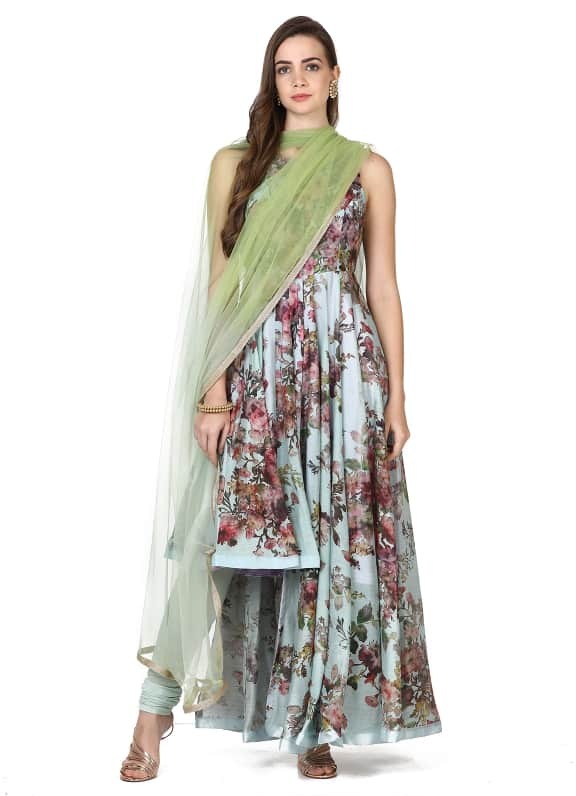 Wear this stunning printed anarkali for your next mehendi function and style your look with a pair of Amethyst earrings and bangle.